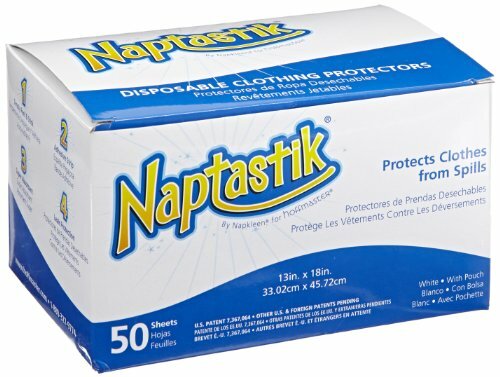 Hoffmaster naptastik clothing protector with pouch. A new level of comfort and dignity for patients and residents. Protect clothing and reduce laundry costs with a leak proof liner that is super absorbent. Naptastik has an invisible feel and is extremely cost effective. It can be used for meals, snacks, medication time anytime fluid accidents might occur. Tie-free. Peel and stick. Disposable. Leak proof. Addresses F-TAG 241 (Dignity). Measures 18-inch length by 13-inch width. White color.